Dr. Demeranville offers an array of Family Dentistry services, including children’s dentistry. Same-day appointments available for emergencies. 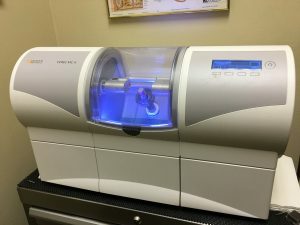 With our highly advanced CEREC machine, Dr. Demeranville is able to offer 2 hour crowns and inlays that are more precise than those measured by hand. The CEREC procedure was developed at Zurich University and has been successfully deployed in dental practices since 1985 – i.e. for more than 25 years. Since 1985 over 8 million patients have been treated using the CEREC procedure. More than 20 millions ceramic restorations have been created and placed. The CEREC treatment procedure means no conventional impression, no temporaries, and no long waiting periods.